It has been a long and strange week with lots of stress. Work is still nuts – the company is growing lots and that’s great. Except for the IT department who’s been dealing with lots of last minute upgrades, new equipment deploys, and unhappy users because we’re having problems keeping up with all the work. Again, it’s a great sign for the company, but the forecast for the next few weeks, maybe months, is lots of chaos as we deal with all the changes and additions. And it didn’t help that I’m all call this week taking work home with me every night. And that it’s been stormy most of the week with crazy winds and rain, not good for half marathon training or even having a decent hair day! 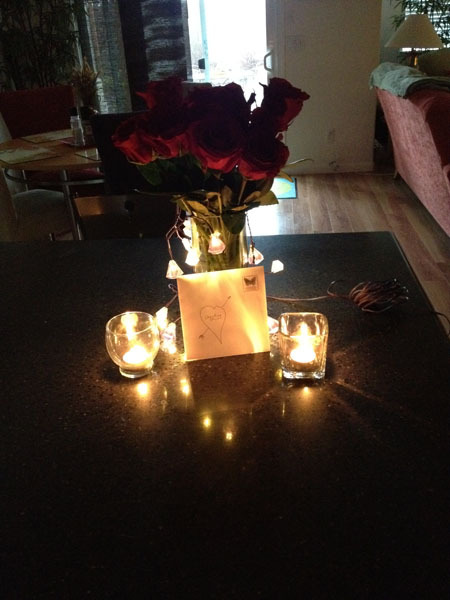 Apparently I’ve been so cranky that I came home to this sweet surprise from hubby last night – a sparkling clean kitchen, card and roses. A definite mood booster! Even though the weather was still awful with sideways rain. 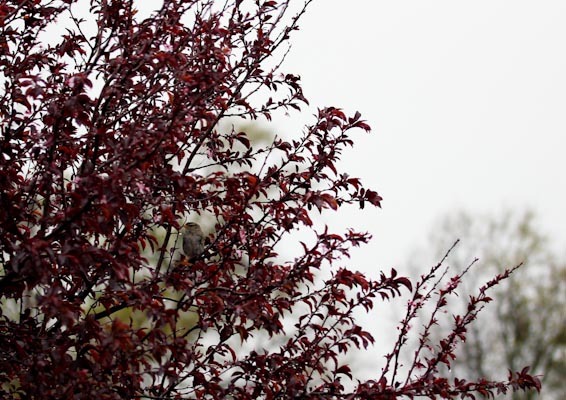 I felt bad for this poor little bird hanging on for dear life in our plum tree during the storm. 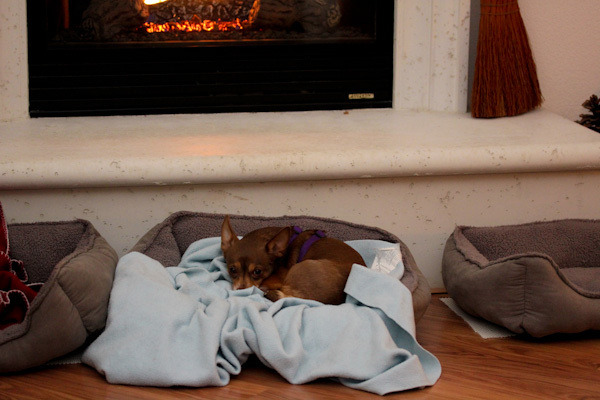 Leela was perfectly happy to keep warm and dry by the fireplace. 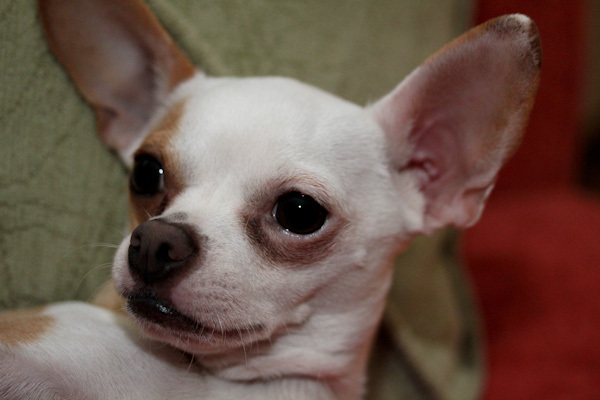 While Miko is perfectly happy to stay warm and cuddled on the couch. My eats have not been too exciting, when things get crazy I usually stick with lots of salads, smoothies, and foods I can prepare fast with minimal stress. 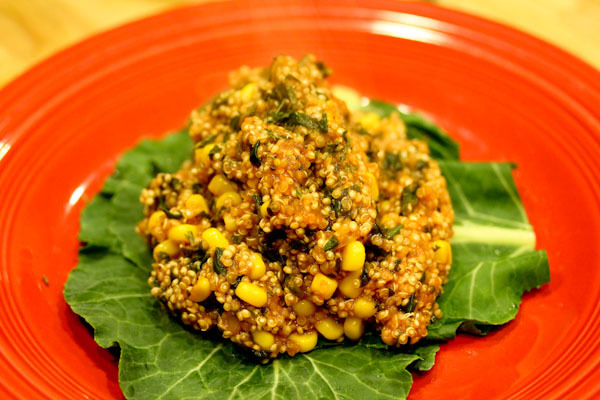 Like this throw-all-in quinoa dish for dinner the other night, I just simmered quinoa with tomato sauce, Italian seasoning blend, frozen corn, and frozen chopped spinach for a simple, but still veggie loaded dinner. The leftovers were also great to glob chilled over salads, or freeze for another lazy dinner emergency. And this simple go to for me, my Creamy Hemp Seed Casserole recipe with added Irish moss this time to make it thicker. 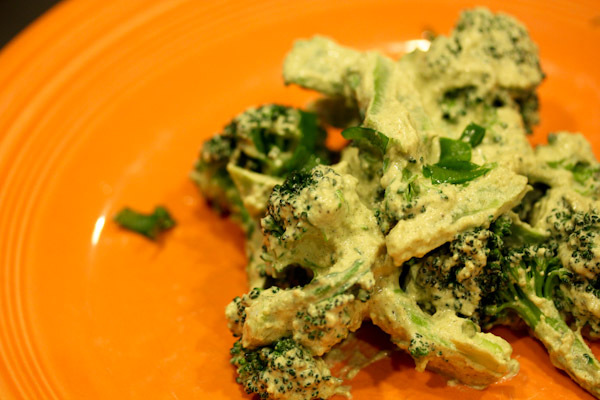 And I coated broccoli and chopped green onions with it for a complete, but easy raw meal that the leftovers also work well tossed into a salad for lunch the next day. Today’s agenda is already packed, I’ve gotta get in an 8-mile run and I’m still debating if I want to attempt that outside while the sun is out and the wind is not too bad yet, or head to a gym and use a treadmill. Then recipe plan and load up at Whole Foods and possibly see a movie later, especially if the rain kicks up again. a sparkling clean kitchen, card and roses = AWESOME and you deserve it!! And so sorry for all the work stress & chaos. Good to know the company is growing and you have job security but that comes at such a price…ugh. You make me want to make more Vita sauces with all your creations! WOW! What a nice surprise to come home to! Not to mention precious Miko and Leela! Those two alone would be the remedy to wipe all the days stress away! They are too cute. Sorry to hear about the stress and chaos at work. Hopefully, things will balance out. I hear you about the weather we’ve been having lately! Bring on the sun. My psyche (and hair) does so much better with less rain in the forecast. Your meals look fab! Love your plates, as well. I get so many great ideas for dressings from you posts – thanks for sharing – it’s delicious! Enjoy the rest of your weekend and I wish you a peaceful next week! Thanks, hopefully things settle down and work next week slightly, at lease I won’t be on call. :-) So true on the weather, I’m trying to be patient since we haven’t had that much rain this winter and we need it. But starting to crave a little sunlight now! Your foods look simple and delicious. I hear you on the work front! It never ends :) that was so sweet of hubs! Hope you got your run in. I was thinking the same thing yesterday- should I try out a gym for the day? But I ended up getting out anyway . Hope you did too! Hello, I’ve long admired your creamy looking sauces, but have never made one because I keep thinking that since they are raw they are cold. is that true? do you use a special setting no the vitamix to heat them a bit without actually cooking them? i keep my virtually untouched hemp seeds in the freezer and need to start doing something with them. thanks. Hi and welcome! The sauces can be cold, but they can be served at room temperature or slightly warmed up and I prefer the later on cold winter nights. 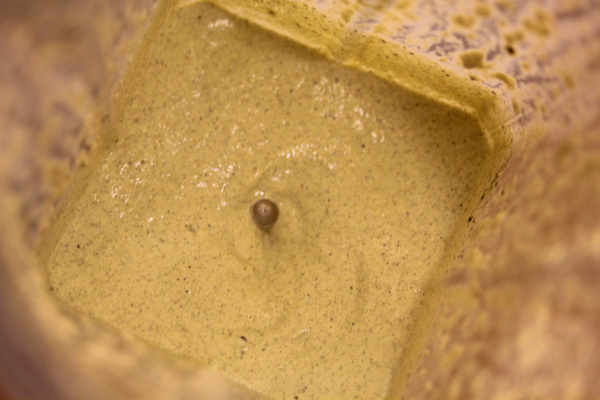 The Vitamix will warm hemp sauces up after just running for a few minutes even if the seeds are kept in the freezer. 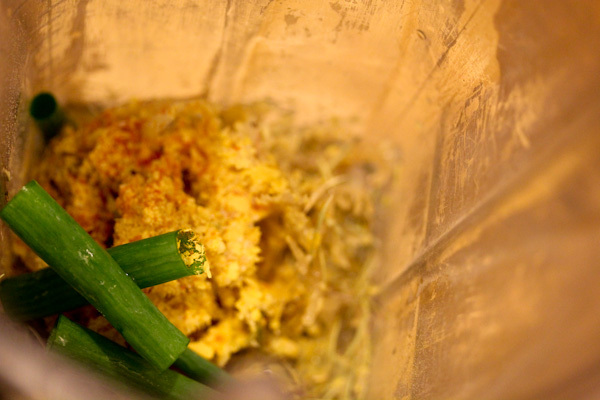 Or raw sauces and dishes can be placed in a food dehydrator for 20+ minutes to warm it up.